Stock your kitchen with the Rachael ray yum-o nonstick bake ware oven loving' cookie pan set. Three different sizes offer you cooking versatility so you can do everything from roasting stuffed eggplant, broil cheesy garlic bread or bake chocolate chunk cookies. 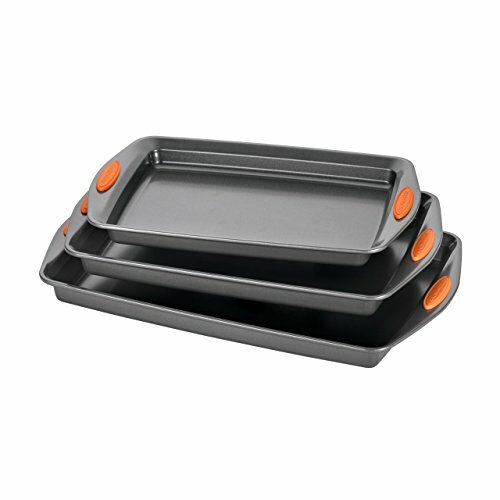 Wide grippy handles on these warp-resistant cookie pans allow you to pull items from the oven with a confident grasp and the nonstick design provides excellent food release and easy cleanup.